Exclusive from LifeSong Milestones ! 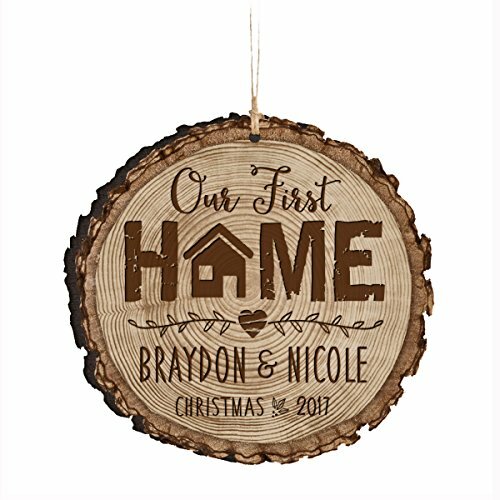 Celebrate your new home ornament with family and friends with our unique personalized Christmas ornament gift for couples. These fully customizable ornaments allow you to showcase your special announcement with your families. Create a cherished keepsake with your name and year to create a truly stunning gift that your family will love this christmas year. Your details will be laser engraved into our exclusive customizable Ornament by LifeSong Milestones craftsmen.